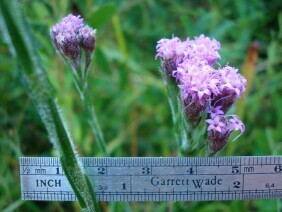 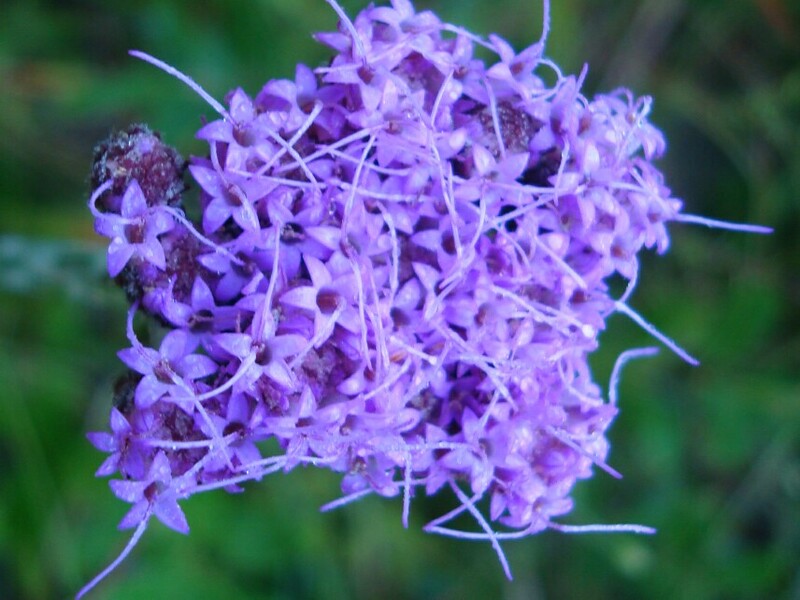 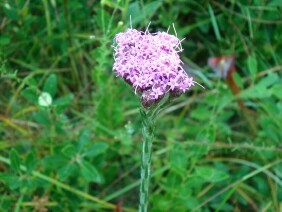 Bristleleaf Chaffhead is also known as False Liatris (note the pseudoliatris in the scientific name). 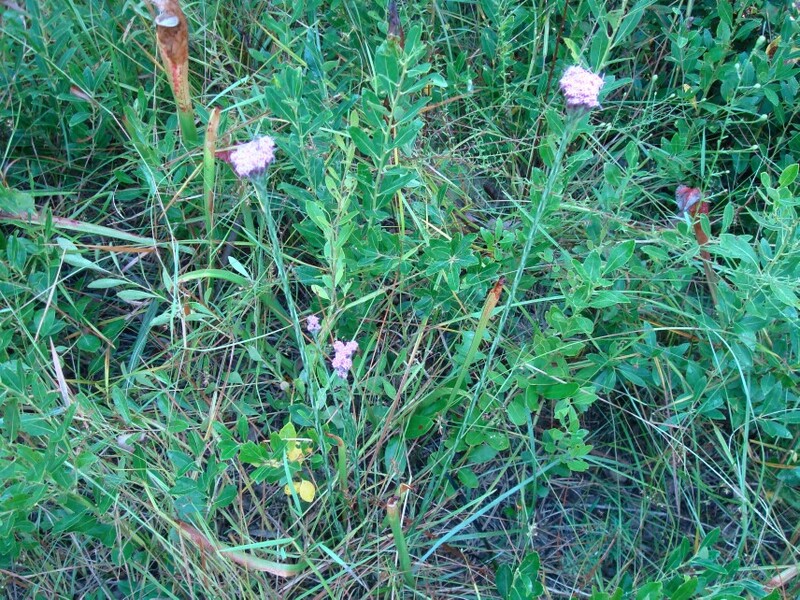 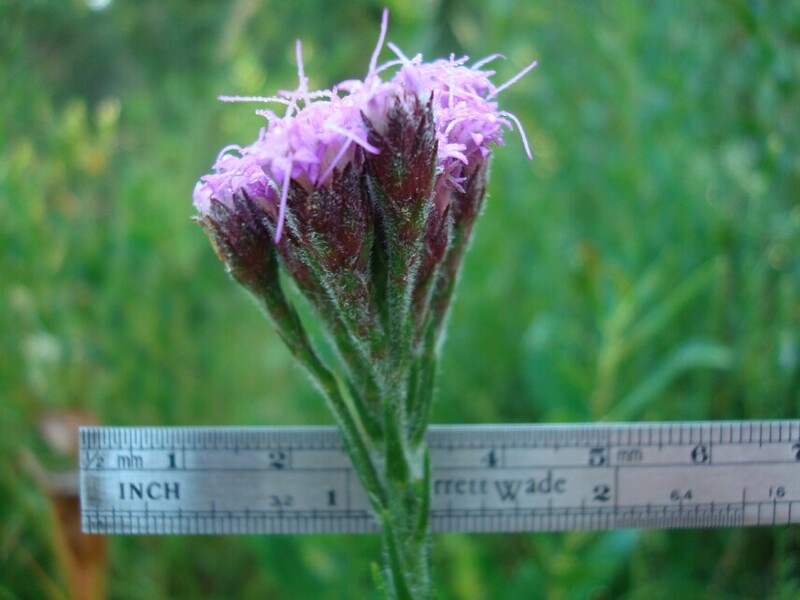 It blooms at the same time as Liatris and in the same habitat, but unlike Liatris the flowers are in a flat head at the top of the stalk. 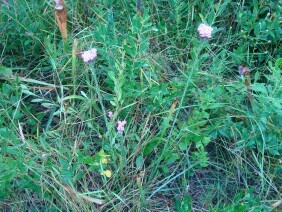 Like Liatris, Bristleleaf Chaffhead is a member of the Aster family. 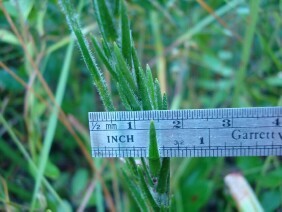 These plants were photographed near Rabbit Creek, in South Mobile County, Alabama, in early October.